Meet the worst, when it happens. Until then – just chill! When the worst happens, face it. Until then relax – and stop worrying! This morning I was speaking to my father. It was a casual conversation that covered all topics under the sun. My father, to illustrate a point, said that one of the best approaches to Life is what former Tamil Nadu Chief Minister, and revered statesman, K.Kamaraj (1903~1975), followed. Apparently Kamaraj always said “agattum parkalam”, meaning “let it come, let it happen, we will see, we will face it!”, whenever he was asked for his opinion on “what if” scenarios. 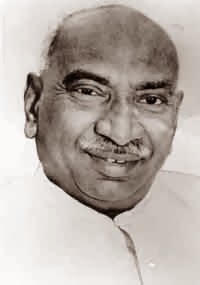 The import of Kamaraj’s philosophy is simply that “we will cross the bridge when we come to it”. I find that approach very valid in everyday Life too – as much as it must have been relevant in politics then. All our worries are of a future that has not yet arrived. We imagine worst case scenarios that, most often, really don’t happen. Yet we endlessly worry in anticipation of them. The very nature of a worry is of something unreal. It is always over something that hasn’t happened. Now if worry did not take you away from the reality of the present moment, of the now, it is fine. But worrying means not being present here – in the now. And Life is always happening in the now. So, worrying is futile. It drains you of your focus and pushes you down a spiral of fear and insecurity. This is not to say that you must not see reality. For example, someone you love is dying. The doctors have told you to be prepared to lose her. What I am saying here does not mean you must not see the reality of her death, which is due to happen in some time. Of course, you are sensible and you can and will see that she is slipping away. Her impending death is not the issue here. What may be a problem is your worry that you cannot think of a Life without her. That worry is what needs to be dealt with astutely. You cannot expect that worry not to arise. The nature of the human mind is that it will spew out thoughts, often worries, ceaselessly. When a worry arises, be aware. And tell the worry to subside saying you will deal with the, in fact, any, situation, when it arises. When you say this, in the context of your dying friend for example, you will be able to focus on spending the last few minutes with her “freely”. You will be “present” with her. You will not be consumed by either guilt or grief or remorse or anxiety. You will simply “be” with her. I have painted this morbid picture here only by way of illustrating this learning in a dramatic manner. Often, our anxieties are not and need not be about Life-changing issues. We tend to project what-if and worst-case scenarios in all contexts in Life. And therefore worrying has become an integral part of our everyday Life. To understand the futility of this compulsive habit of worrying, understand the way of Life. Know that when the future does arrive it will always be as the present moment, as the now. So, when you are worrying, the future arrives, but as the present, but you miss that moment, because you are still worrying about an unborn future. This way an entire lifetime passes by and finally, when death arrives, you realize, when it is too late, you have not lived your Life at all. And that is the way it is with all of us. We are so anxious about the future that we miss our trains – metaphorically – in each moment. Such living is simply squandering a lifetime. The venerable Kamaraj’s “agattum parkalam” approach helps us remember that when the (worst) future has not yet happened, there’s great value in just chilling! Author AVIS ViswanathanPosted on December 24, 2013 March 14, 2016 Categories Art of Living, http://schemas.google.com/blogger/2008/kind#post, Inner Peace, Intelligent Living, K.Kamaraj, Live in the moment, Osho, WorryingLeave a comment on Meet the worst, when it happens. Until then – just chill!